Compact design and the functions you need for overall convenience. its low price will surprise you! 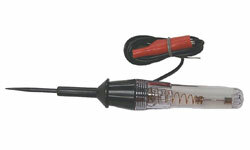 Dual bulb tester for testing both 6 and 12volt circuits. Also can be used to checkspark plug wires. 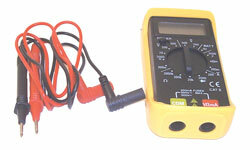 This is the most commonlyused tester for troubleshooting auto,truck, van and boat wiring. Supplied withground wire and clip. Packed one per card. Convenient and powerful. Jump yourautomobile, motorcycle, speed boat andmore! Charge your mobile devices anduse the handy LED flashlight. 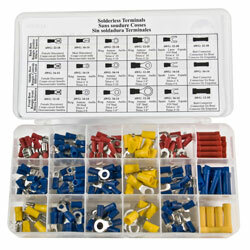 30 piece terminal assortment packed withcrimp tool/wire cutter. 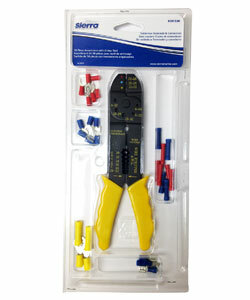 Attractive 5 compartment clamshell fits neatly in tool box or glove compartment. Handy for emergencies. Perfect forand lock. Maximum depth 1-1/8″.the do-it-yourselfers. 175 of the most popular terminalsin a shatterproof nylon box.